The fourth annual Dress to Impress clothing drive, sponsored by the Career Services office, is now underway, and your help is needed to once again make it a success. Faculty and staff members are invited to drop off gently used men’s and women’s clothing by March 2 in Suite 207 of Spiva Library. 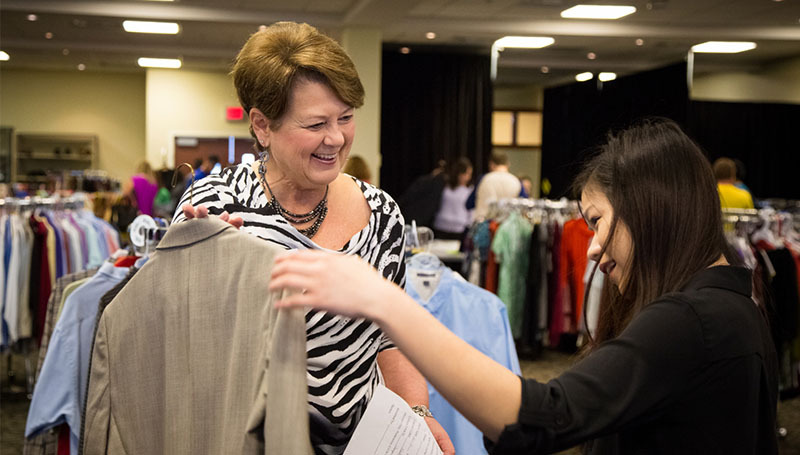 The event provides students with the chance to expand their professional wardrobe at no cost. Volunteers will also be needed to help sort clothes and to set up for the event, as well as help staff it and serve as personal shopping assistants on March 14.